The Ukulele industry is booming. Some of best ukulele brands are beginning to recognize that there is a growing market for quality instruments, and that the stigma of the 20th century has faded finally given in the prestige status it has always deserved. There are a couple of considerations to be made when trying to find a high quality Ukulele. Generally speaking the higher priced ones should be made of solid wood. The laminate woods are not as likely to crack, they are less resonant than solid bodies. Solid bodied ukuleles also tend to sound better with age. The Martin brand is one of the best known in the world of acoustic stringed instruments. 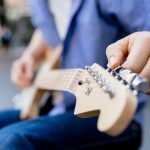 It’s guitars have been found in the hands of diverse musicians such as Chris Cornell, Ed Sheehan and Father John Misty. As a brand Martin have been in production since 1833, and their first Ukulele was produced in 1916, so they are one of oldest surviving ukulele brands in the world. Martin are something of a prestige brand. 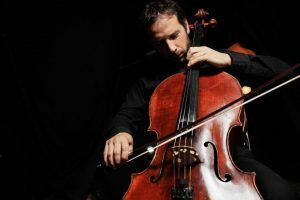 For the most part they produce instruments that are made for professional musicians, so their prices and quality match the ethos. But once you’ve played a Martin Ukulele, you’ll know why they can fetch quite steep prices. 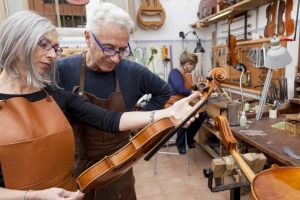 It’s an investment – the materials age in such a way that the instrument sounds better with age, so you’ll actually find vintage Ukuleles that can fetch big sums. Currently Martin offer 26 model of Ukulele. These cover everything from Standards to Tenor Ukuleles, and are built with a diverse range of materials, from mahogany to green bamboo. 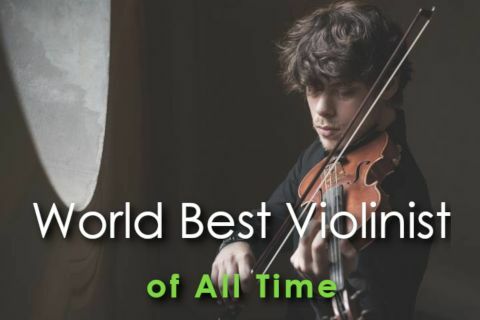 In the highest price bracket is the famed Konter Ukulele, named after Richard Konter, who the original with him to the North Pole on a 1926 expedition. 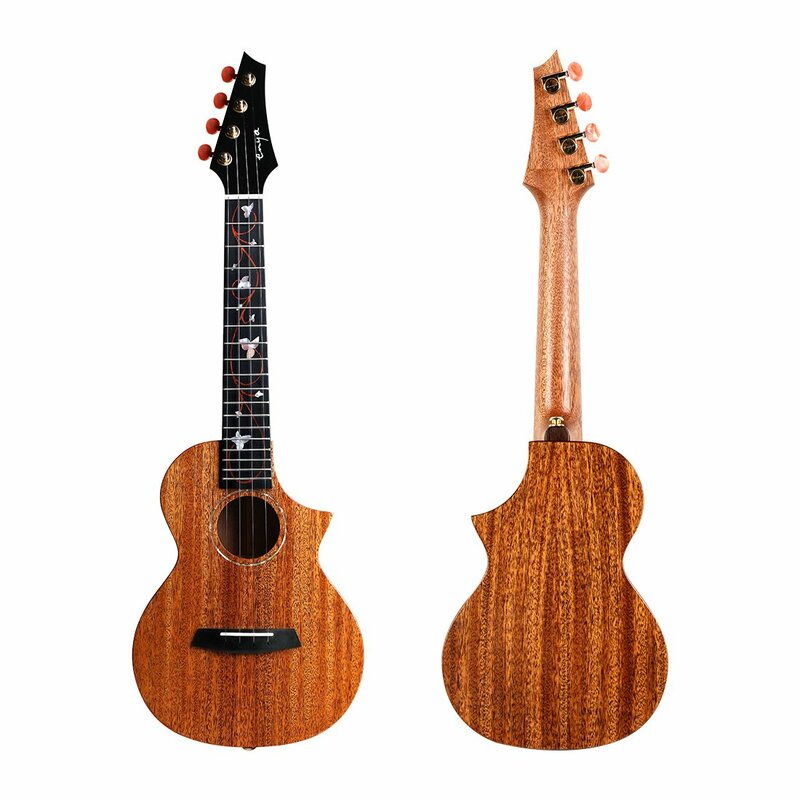 The most popular of Martin’s Ukuleles is the T1K Tenor Ukulele. 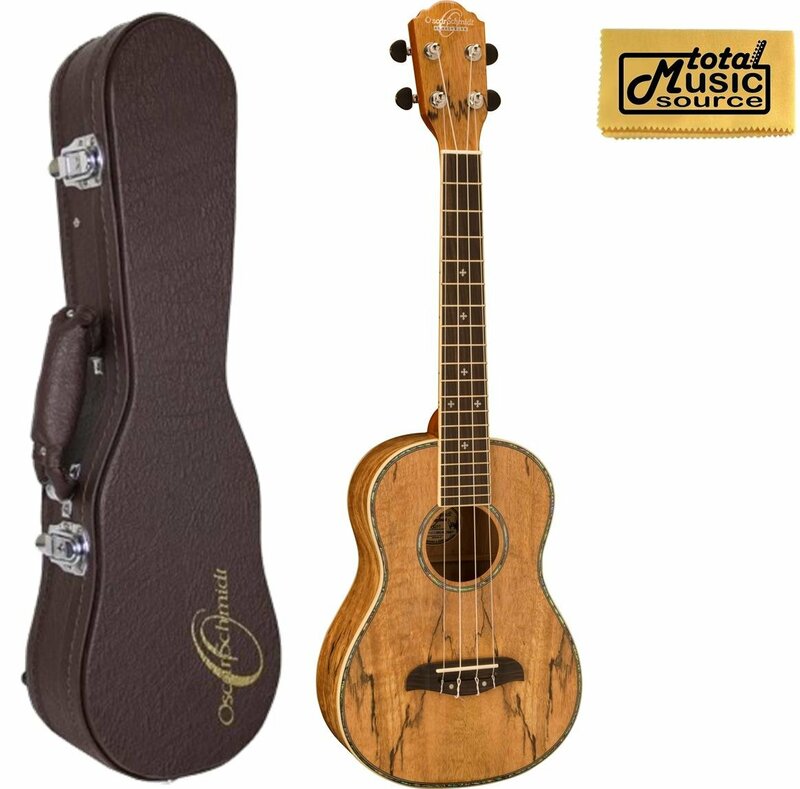 It is built out of the classic Koa wood favored by Hawaiian manufacturers, and finished with a satin rub, making it simple but elegant design. Its action is quite low making the instrument very playable, and the neck features a morado unbound fingerboard which has a lovely streaked finish to it. Though the aesthetic is simplistic, it feels and sounds very rich and professional. 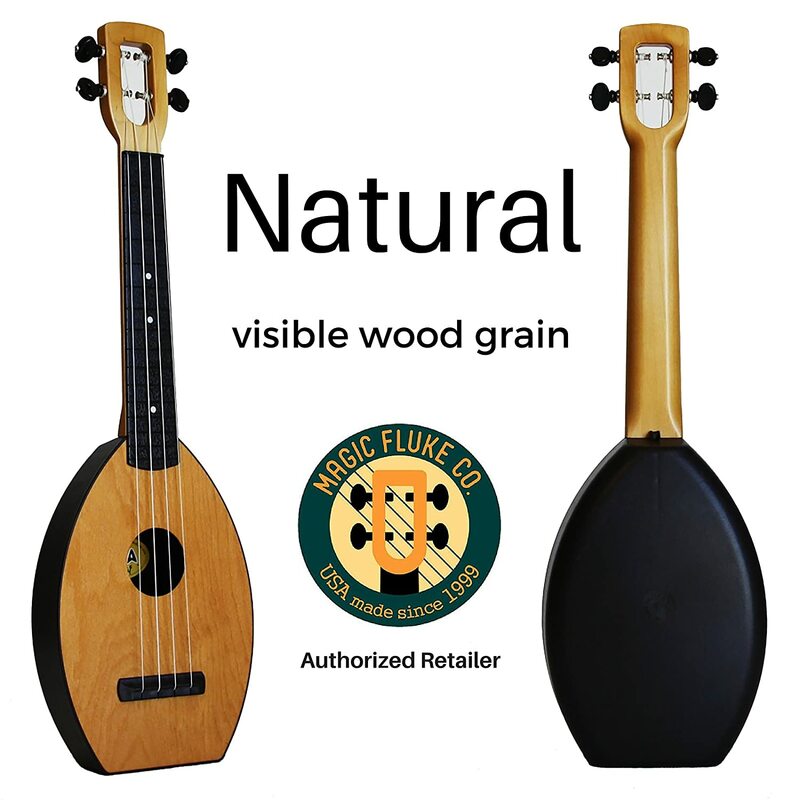 Founded by husband and wife team Dale and Phyllis web back in 1999, the Magic Fluke company is a fantastically innovative force in the world of Ukulele manufacture. 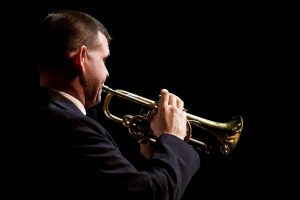 Starting out by making tutorial books and videos, Dale moved from the corporate world to setting up his shop in the basement, using rudimentary tools to make affordable instruments. 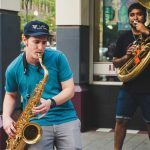 A real David and Goliath story, they’ve managed to retains some of that unique charm in their instruments. Every Ukulele feels authentically handcrafted with the best, responsibly source materials, with a beautiful sound as well. Their flagship model is the Fluke Ukulele, of which there are four different editions, including designer editions which are emblazoned with some unusual but impactful designs. Like many other manufacturers they include a Koa Model and a solid spruce for a bit of tonal variation. Aside from their original Fluke, MF Company offer the Flea Ukulele, which has been causing quite a stir among players. One of the best known advocates of this model is actress Bette Midler, who frequently busts out her custom models in Vegas and on TV Shows. Like the Fluke it comes in a variety of material, including mahogany, spruce, Koa or the original pine model. As well as some highly entertaining finishes, (the pineapple print is especially popular), it comes in both a concert and soprano size. 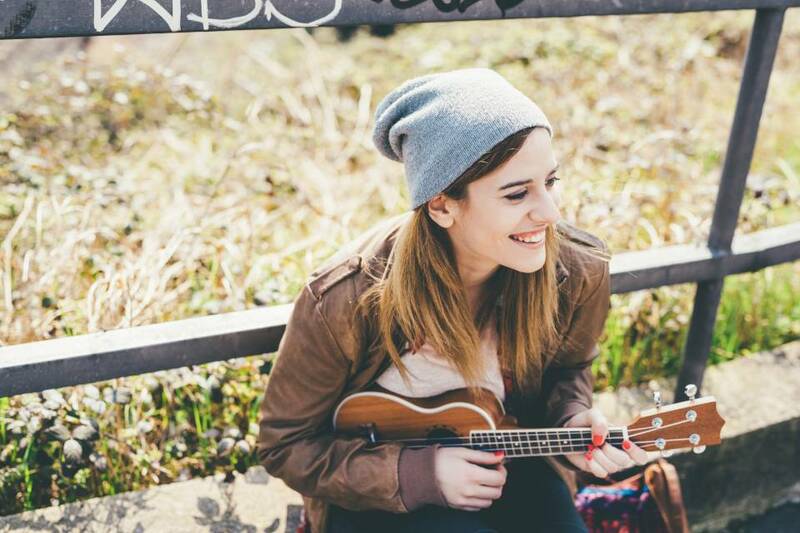 Unusually for a professional Uke it features plastic sides and back but a solid wood top. This brings down the price considerably but seems to have little effect on the sound. The Oscar Schmidt Company has been producing high quality instruments since 1871, starting out on a travelling salesman strategy. Often their instruments would be found in American homes as the evenings entertainment before the advent of TV. They were early proponents of tie-in editions and a bit of searching on the internet can bring up some very interesting results. More recently, the company has worked under the umbrella of the US Music Corporation, but continues to release some interesting instruments, notably the Autoharp for which they are perhaps most famous. They can be said, without a doubt, to be one of the most prolific Ukulele producers out there, offering a staggering 45 models. These range from the piccolo Ukes right down to bass and tenor models, with a diverse range of materials and price brackets. They also offer the hybrid Bangolele, as seen in the hands of George Formby in the 1930s. The acoustic electric OU7T is fantastic addition to their brand. Featuring spalted Mango top, back and sides, it also features active electronics which make it a superb instrument to play live. Its sound is bright and energetic, and has 19 frets for extra tonal dexterity. Importantly, it features deluxe tuners and book matched top giving it a durable but really very classic feel. The Spalted Mango top is especially good-looking and gives it vintage look. Founded in part by a well-known stained glass artist Yvonne de Villiers, the Luna Guitar Company place artistry at the centre of their business model. Their ethos is to bring design artists and musicians together to build instruments that not only play well, but look gorgeous as well. As a socially conscious company, they’ve built a name for themselves in after-care, choosing to see their customer base as collaborators rather than simply buyers. 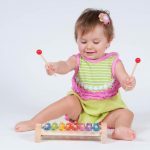 Once you buy a Luna instrument you can actually contribute ideas and designs. They boast a long list of modern players, including former A Perfect Circle bassist Paz Lenchantin. There is a large range of ukuleles available, a lot of them at quite reasonable prices. They have an incredibly diverse plethora of top designs, and you’ll see some well delivered prints of artists such as Van Gogh and Kanagawa. The Luna UKE S EGT is rather simply designed in comparison with some of Luna’s other offerings. But what it lacks in terms of flair it makes up for in elegance, with a beautiful abalone rosette and mother of pearl inlay. As an acoustic electric concert ukulele it features 20 frets and an active pickup controlled by a 3 band EQ. Remarkably for it’s price bracket it features an all solid, all mahogany design, making it extra resonant and dark. 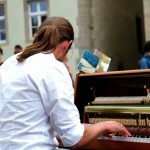 It has a unique tone and feels like a professional instrument. Its solid wood design means also that it will age wonderfully, the sound getting sweeter as it ages. The Chinese brand Enya International are riding something of a wave in design excellence emerging from China. 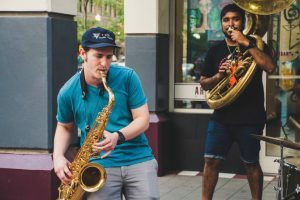 Founded only in 2011, their instruments are finding their way onto the global market in a pretty big way. Choosing to focus only on acoustic instruments, they’ve honed their craft to produce some simple but effective products. Interestingly they’ve recently patented an innovative design for a guitarlele, a six string ukulele. As a younger company, their product range is still growing, but seem to have concentrated many of their efforts on ukuleles. Of these there are seventeen, which all have some incredibly unique and eccentric design features, from offset sound holes to elaborate fingerboard inlays. But it’s clear from some of their models that it’s not just all show. Of these the most interesting is the Enya M6 Cutaway Ukulele. It really is a striking bit of kit, with its offset headstock reminiscent of an electric guitar and a bold but rather beautiful inlay along the fingerboard. 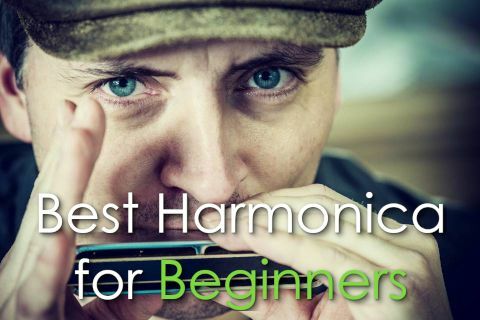 The cutaway means that it’s quite a versatile instrument as well, giving you the ability to really experiment with music you perhaps wouldn’t always play on a uke. It features an all mahogany build, and the die-cast tuners mean its got a solid, durable feel to it. Sound wise, the set up means it has quite a boom to it, making it perfect for jam session with fellow Uke players. There are a few considerations to be made when looking for the best ukulele brands. For me, I like to see a mix of good build quality and clever designs. My pick, for the beautiful aesthetic and quality build is the Luna.